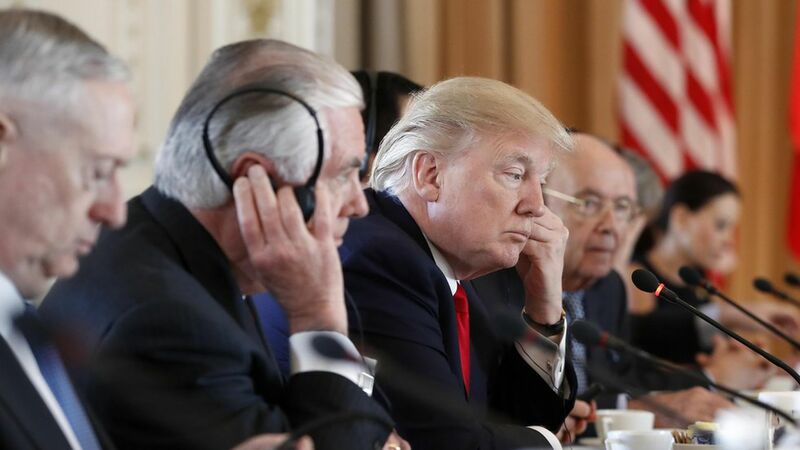 Foreign Policy magazine got its hands on a 15-page State Department document that provides the most detail we've seen so far on President Trump's plans to gut America's foreign aid budget. Why this matters: Trump is fundamentally reorienting American power. As Budget Director Mick Mulvaney has made clear, this administration believes in "hard power" more than "soft power." That means boosting the military at the expense of more subtle forms of influence through foreign aid and American missions overseas. Reality check: Foreign Policy dramatically titles its story, "The End of Foreign Aid As We Know It" — and indeed that would be the case if this budget document ever became law. The reality is it won't, not even close. Republican Senator Lindsey Graham, a foreign policy hawk, has already declared it "dead on arrival." "Acting USAID Administrator Wade Warren told employees at a recent staff meeting that administration officials are considering folding the agency into the State Department as part of a review mandated by President Trump's March 13 executive order on streamlining the executive branch, according to a source within USAID." "Global health funding is also targeted, with 41 countries facing cuts." "The Bureau for Food Security is slated to lose 68 percent of its funding. This would reduce development aid geared toward preventing food shortages and may instead force the United States and other donor countries to spend more resources on emergency food assistance." "The budget would enact a sweeping 94.5 percent cut in funding for the State Department's Bureau of Oceans and International Environmental and Scientific Affairs, the roughly $1 billion the U.S. draws on for contributions to the Green Climate Fund, which is dedicated to curbing carbon emissions." "The budget zeroes out funds for development assistance, which funds 77 countries and regional offices, and redirects much of the remaining funds to the economic support fund..."
"USAID...anticipates that the budget proposal will necessitate eliminating 30 to 35 of its field missions while cutting its regional bureaus by roughly 65 percent. USAID currently operates in about 100 countries." Response from State Department to Axios' questions about the FP article: "While more details will be available in the full budget release later this spring, we intend to make the best use of U.S. taxpayer dollars by eliminating programs and prioritizing resources that most advance America's interests."